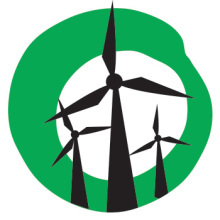 PRO-WIND energy group Friends of the Earth will host a forum in Lancefield tomorrow to discuss the role of wind farms in communities. The “listening post” at Lancefield and District Farmers’ Market on High St will be the first of a number of open forums run by the renewable energy advocates as part of their Yes 2 Renewables campaign. The farmers’ market was chosen became of its nearness to two opposing wind energy movements – the Macedon Ranges Sustainability Group’s push to build a community-owned wind farm project in Woodend and Mitchell Shire’s rejection of the proposed Cherry Tree Hill wind farm three weeks ago. “We understand there’s a lot of conflicting information and opinions out there in the community when it comes to wind farms,” Yes 2 Renewables spokesperson Leigh Ewbank said. Mr Ewbank said Yes 2 Renewables supported wind farm projects that were appropriately sited and well supported by surrounding communities. “As the most mature and affordable form of renewable energy, we believe wind energy is central to our efforts to address climate change,” he said. The listening post will run from 8am to 1pm.